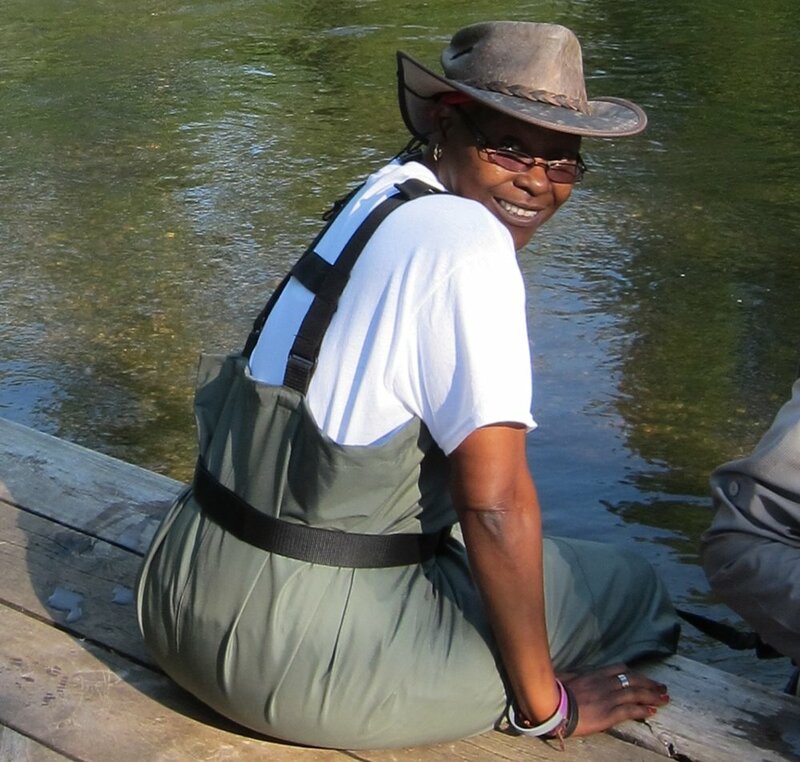 Reeling & Healing Midwest is a charitable 501(c)(3) non-profit organization that relies solely on donations to provide fly fishing retreats to women battling and surviving cancer. The staff is comprised entirely of volunteers. Your contribution is tax-deductible as permitted by law. Through your support, we continue to enhance the lives of women cancer survivors by providing retreats that promote mental, physical, emotional and spiritual healing. Your contribution may be in the form of funding, sponsoring a participant, online shopping, in-kind donations of fly fishing related items, retreat requirements or administrative supplies. You may make a contribution by completing one of the following options. View our Wish List for the current and upcoming retreat seasons. Learn more about our mission to share fishing shirts with retreat participants. Yes, used fly fishing equipment of any type that is clean and in excellent to good condition may be donated. We will find use for it at a retreat, pass it along to a participant, or utilize it as a winning prize at one of our retreats or events. Contact us via email or phone 616-855-4017 with any questions or to arrange delivery. Contact us via email or phone 616-855-4017 with any questions or to arrange delivery. Do you shop on Amazon? If so, you can support us every time you shop by visiting their "giving site" called AmazonSmile at smile.amazon.com and choosing us as an organization you'd like to support and then go to work and shop. AmazonSmile's website is operated by Amazon that lets customers enjoy the same wide selection of products, low prices, and convenient shopping features as on Amazon.com. The difference is that when customers shop on AmazonSmile, the AmazonSmile Foundation will donate 0.5% of the price of eligible purchases to the charitable organizations selected by customers. Many times a friend, family member, support group buddy or individual requests to sponsor the participation of a friend, loved-one, or fellow cancer survivor. Sometimes a donor wished to sponsor one or more participants. We welcome their support and enjoy fulfilling their request. If you are interested in sponsoring one or more participants, please send us an email or leave a voice mail at 616-855-4017, and one of our volunteers will follow-up as soon as possible to discuss in more detail. Many corporations have matching gift programs and will match your donation to an accredited charitable organization. It's an easy way to double or even triple the impact of your personal contribution to Reeling & Healing Midwest's fly fishing wellness retreat programs. Step 1. Make a donation and save the receipt. Step 3. Submit your match request. Some organizations ask you to submit your match request through the company intranet.